Tele Vue upgrades their Tele-Pod Advanced Alt-Az Telescope Mount to include the Sky Tour Mount Computer, giving users the ability to to precisely align, aim, track, and find celestial objects with relative ease. 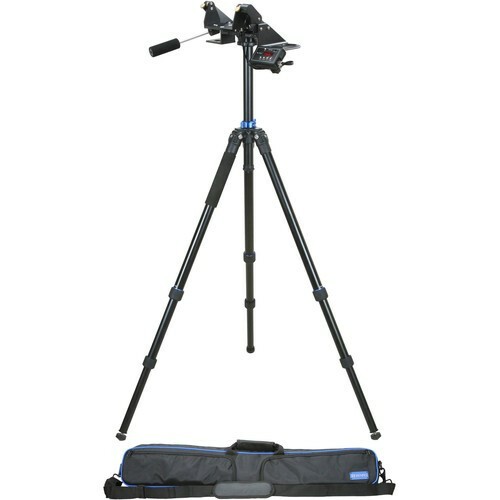 This kit includes the Tele-Pod alt-az yoke mount, Sky Tour module with all mounting hardware, and their advanced aluminum tripod. Tele Vue's Sky Tour Mount Computer gives you the ability to precisely align, aim, track and find celestial objects with your alt-az, EQ, or fork mount. Using a simple 2-star alignment process to set up the controller, you will be able to choose the mode and use the information the controller gives you to manually move the scope to various objects, identify nearby objects that you see, or have it give you a tour of what is visible on any given night. While this is not a traditional 'GoTo' system, if you get the optional encoders for your specific mount, it keeps precise track of the changing orientation of the scope to provide real-time updated coordinates. And if you know an objects location, it can be entered and the Sky Tour will tell you where to move the scope to find it. To expand its usability, the Sky Tour can interface with TheSky astronomy program from Software Bisque by connecting your TheSky equipped Pocket PC, Windows, or Apple computer to take advantage of the software's expanded database.